User-friendly. Flexible. Productive. 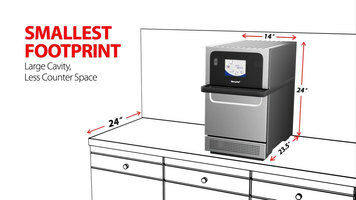 Eikon e2s: the smallest high speed oven with the biggest performance. Fresh Ideas. Flexible ovens. Merrychef. Manitowoc. From baked goods to sandwiches and entrees, the Merrchev eikon e2S oven is capable of producing consistent results with fast cook times to help your establishment improve efficiency and expand its menu! 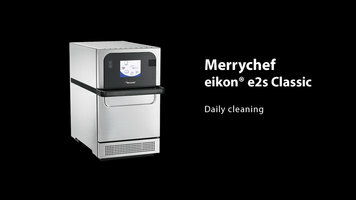 To ensure longevity and optimal performance from your Merrychef eikon e2s Classic, follow these steps for daily cleaning. Learn how to navigate your eikon e2s Trend interface by watching this short video so you can get cooking! 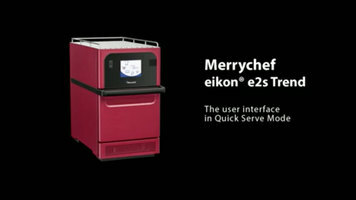 Cook thoroughly, efficiently, and quickly with the Merrychef eikon e2s oven. Combining convection, microwave, and impingement technologies, this oven cooks 20 times faster than commercial units, so you know it's worth peeking at this short video to find out more about what this speedy, compact oven has to offer!